Philippine President Rodrigo Duterte, who is just on his sixth month in office, is among the world's most powerful people, said Forbes magazine in its December 30 issue. Duterte was No. 70 on the 74-member list, which was topped by Russian President Vladimir Putin and US president-elect Donald Trump, who is No. 2. The Philippine president came in after US Vice President Mike Pence, who is No. 69 on the list, and before Ayman Al-Zawahiri, the Al Qaeda leader, who is No. 71. A long-time mayor of Davao city in the southern Philippines before he became president in July this year, the 71-year-old Duterte is waging a bloody war on drugs that has claimed the lives thousands of suspected drug dealers and users. The killings have outraged local and international human rights advocates and some sections of the international community. However, the anti-drug campaign enjoys widespread support among Filipinos fed up with government inaction on petty crime. 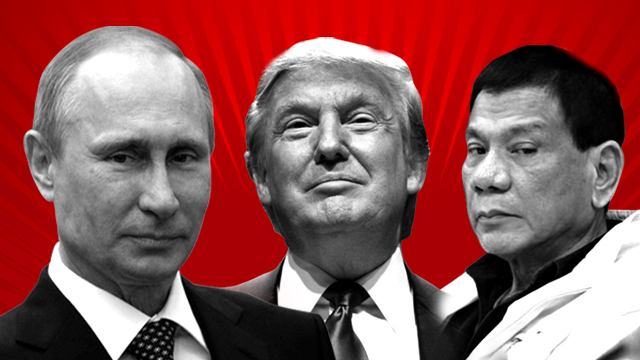 Duterte is also trying to shift the Philippines' traditionally pro-US foreign policy and is seeking closer ties with America's geopolitical rivals such as China and Russia. He has said he will stop joint maritime patrols with the US and will explore purchasing firearms from other countries. Four factors were taken into account to select each of the World’s Most Powerful People: how many people they have power over; the financial resources they control; if they have influence in more than one sphere; and how actively they wield their power to change the world, according to Forbes.